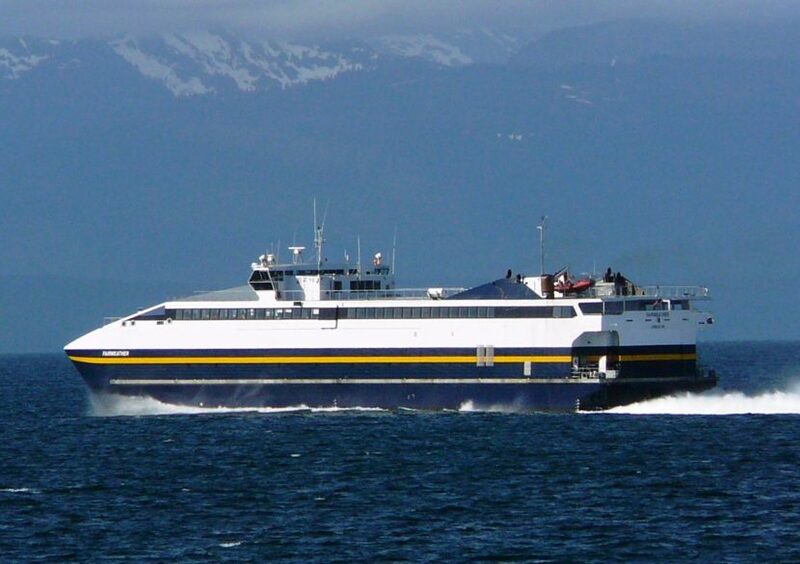 The Alaska Marine Highway System is bringing a fast ferry back to Lynn Canal next month to fill a gap created by repairs to three other vessels in December. The Fairweather will make runs between Juneau, Haines and Skagway four times a week between Dec. 7 and 30. It will also make two trips to Angoon in December. The Fairweather is a high-speed catamaran that makes trips in about half the time of the rest of the fleet. But cost cutting has left its future uncertain. The Malaspina is scheduled to be out of dry dock in the second week of December. It will then make three runs to Hoonah and Gustavus.